HowMechanismWorks ? : What Is Deep Draw Technology? What Is Deep Draw Technology? 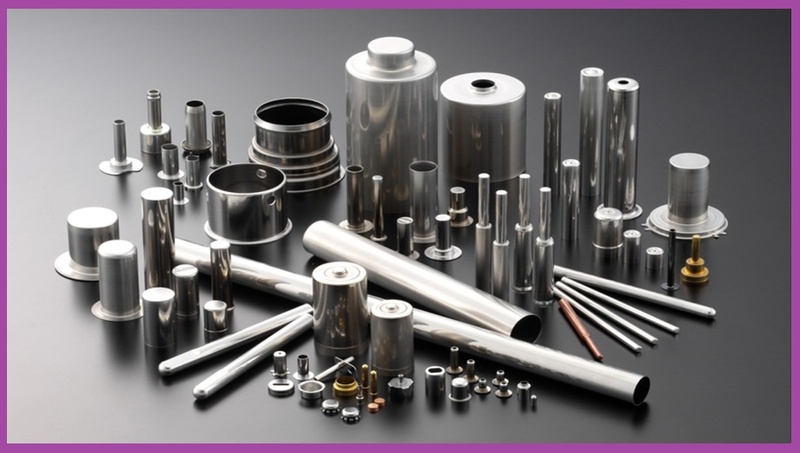 Deep draw is one of the most popular metal forming methods available to manufacturers– it involves the use of metal dies to form blank sheets of metal into a desired shape. Deep draw metal forming is a process where flat sheet metal is formed into more complex components, such as battery cell cans. A disc of sheet metal is blanked from a coil of sheet metal in the first station of a series of dies. The flat blank is then cupped by the “nose” of a punch and pressed into a die to form a cup. Specifically, if the depth of the item created is equal to or greater than its radius, then the metal forming process can be called deep drawing. During the drawing process the metal is formed under significant pressure. The material wall sees tension forces and the blank flange sees forces of compression. These forces are manipulated by the design of the tooling as the material is stretched by the “nose” of the punch into each die. These forces tend to thin the shell wall and thicken the shell flange. Depending on the material, the ratio of starting wall stock to finished wall stock, and the length to diameter ratio, a varying number of draws are required to create the basic shape of the part. The drawing process can create stepped diameters or other unique features in the part. The drawing action also work hardens the material, making the finished seamless part stronger than the base material. Tooling is added to the basic dies to create other features such as: coining, bottom piercing, multiple side piercing, extruding, embossing, marking, burnishing, ironing, chamfering, flange forming, shaped flange trimming, beading, reverse drawing, and rib forming. 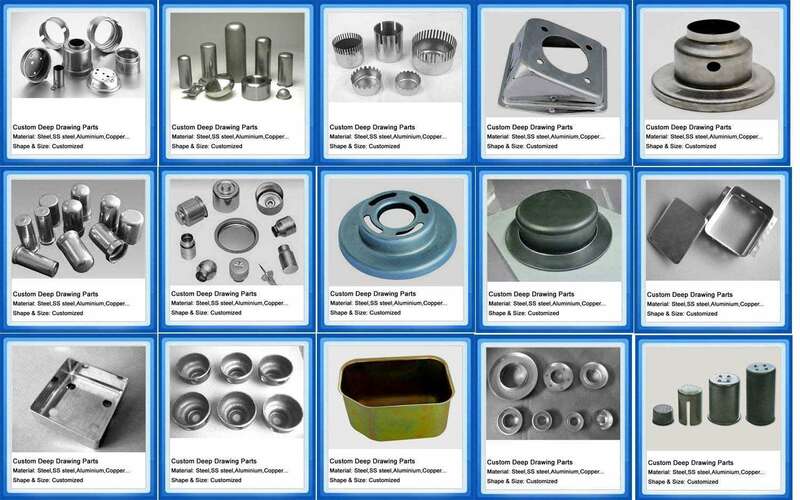 The deep draw process produces a strong, thin wall container in aluminum, steel, stainless steel, or other metals such as aluminum cans, cookware, and kitchen sinks. When considering the functionality of the end product, deep drawing poses still more advantages. Specifically, the technique is ideal for products that require significant strength and minimal weight. The process is also recommended for product geometries that are unachievable through other manufacturing techniques. Deep drawing is perhaps most useful for creating cylindrical objects: a circular metal blank can easily be drawn down into a 3D circular object with a single draw ratio, minimizing both production time and cost. Production of aluminum cans is one example of a popular use of this method. Squares, rectangles and more complex geometries may create slight complications, but are still easily and efficiently created through the deep drawing process. Typically, as complexity of the geometry increases, the number of draw ratios and production costs will increase.